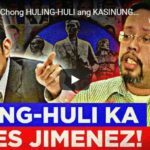 Why would Comelec’s James Jimenez Calls OFW Election Voting Troubles Fake News? Government officials must be sensitive to the concerns of the public. 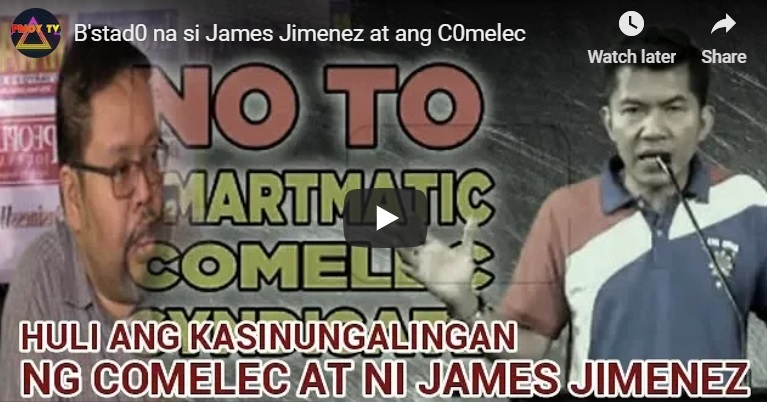 This is not the case with Comelec’s James Jimenez. He shrugs off the chaos and complaints expressed by Filipino overseas workers on dysfunctional machines, wrong over voting verdicts, and duplicated ballots. Jimenez justifies it by saying that the absentee voting since April 13 is relatively smooth. He warns the public for alleged fake news. However, Atty. Glenn Chong is quick enough to react on his statement. As an IT expert, Atty. Glenn Chong explains that the PCOS machines bought at almost 10 Billion pesos in 2010 are now outdated. It is just but natural to have wear and tear. The impractical thing is why keep on using such automation and spend more money on them when they are close to useless as they malfunction during the election proper? They added another 2 billion in 2013 then they rented another sets of VCMs in 2016. Therefore, they are used only during 2 elections only. If Comelec pays Smartmatic 12 Billion for 2 elections once every 3 years, at least 2 Billion Pesos a year are wasted instead of funding hospitals, schools, and public facilities or infrastructures. Dysfunctional machines are as good as disposable technology. They won’t be beneficial to the country anymore. The Commission on Elections (Comelec) braces for the proliferation of fake news as overseas absentee voting (OAV) began. 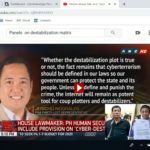 The Comelec spokesman said that the poll body is on the lookout for those who try to disrupt the OAV by spreading false information. Since when does a genuine public complaint becomes fake news? Does Jimenez know how social media works? Migrante International warned that only a few overseas Filipino workers (OFWs) in Japan will participate in the OAV because they are being required to pay postal stamp to be able to send back their ballots to the Philippine embassy where their votes will be counted. “The right to vote should be free,” it insisted. It also said that Filipinos in Europe expressed fear of losing their right to vote due to the postal mailing system of voting adopted by the Comelec. Jimenez’s justifications of the poll body’s processes are enough proof that the agency and their staff are incompetent. Why Not Act on Them? If Comelec cannot improve its system to assure Filipinos of a clean election this May and after 3 years thereafter, who can? Many people are now appealing for the President’s hand on the matter. The Comelec may be an independent body and only has to report to the President and the Congress every election, but its mandate must be clear enough. They organize, conduct, and monitor processes that would protect the people’s right to vote and for their votes to be counted properly. So far, it is not happening. Ang kapal ng pagmumukha nitong Comelec spokesperson Jimenez na FAKE news mga reports from OAV.Ano ba mapapala sa pagpopost ng fake news ng isang OFW?Umayos kayo sa Comelec, bistado na panloloko niyo sa taongbayan. 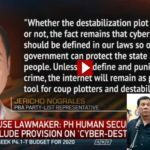 Dahil sa irresponsableng pakikipagsabwatan sa dayuhang Smartmatic, inalisan niyo na ng karapatang pumili ang taongbayan. 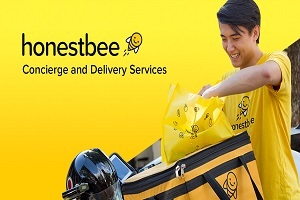 Dahil din sa kasibaan niyo,patuloy na nasa pwesto mga magnanakaw sa kaban ng bayan. 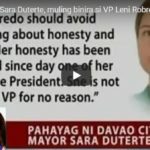 Sinasamantala niyo pagiging independent body niyo…mga SALOT! Wag na ninyong lokohin mga botante.Sawa na kmi sa khirapan.Ayaw na namin ng kurap na mga govt. Officials.Kong hndi mababago ngayon,kelan aahon sa kahirapan ang mga pinoy na lubog na sa hirap?Mga mayayaman lang ang masarap ang buhay,at ang mga ordinaryong mamamayan na syang nagluluklok sa mga opisyal sa kanilang pwesto ang syang nagpapasarap.Bakit kayo nagppagamit sa mga may maitim na balakin.Gusto din ninyo na kayo lang ang nagppasarap.Dpt sa Comelec i-abolish na din para lahat tayo pantay-pantay na mghihirap. sana po maging malinis ang election ngayon May na darating…kung manalo po si Atty. Glenn Chong [loobin nawa] linisin niya po ang mga katiwaliaang nakikita niya sa Sistema..nawa at maging landslide din ang kanyang panalo tulad ng kay Presidente Duterte..